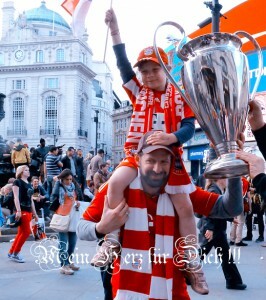 Everything started when watching the memorable Champions League final in 199T and I was wearing my beloved Trikot 19 of Jancker. I really gave huge credit for Die Roten, even they still lost the game. After victory in 2001 I had no doubts who is strongest football heart. Nothing has changed my feelings so far! 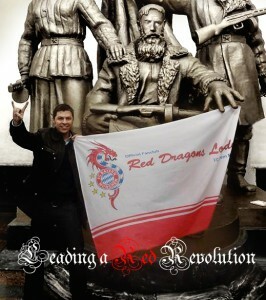 I have signed up for Red Dragons because it became obvious very quickly it will take me closer to FCB and into the fans’ world. 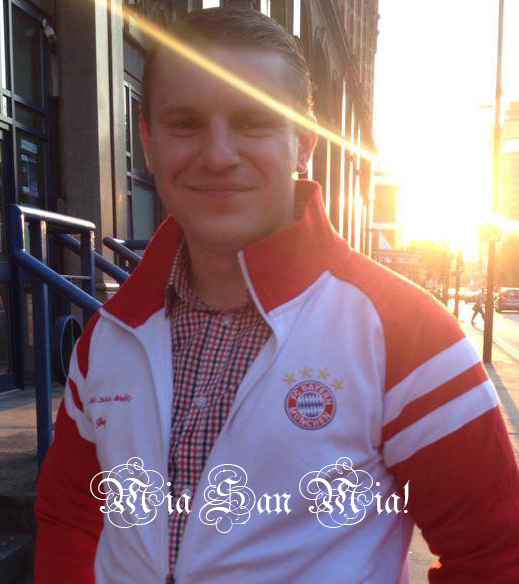 It is a shared idea of creating Bayern community in London for fans. MIA SAN MIA! 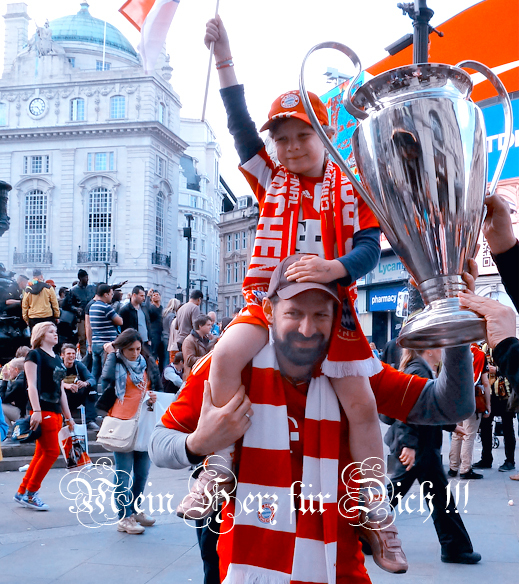 I have supported Bayern as long as I can remember, remembering the hat-trick of European Cup victories in the mid-seventies as my main inspiration. I signed up for Red Dragons as a way of watching FCB with fellow supporters in the UK, having spent too long watching on my own. Within the club I love the comradeship and the atmosphere at the BB on match days! Bayern is my life, I can’t imagine life without FCB! I was influenced by my older brother at the age of six. 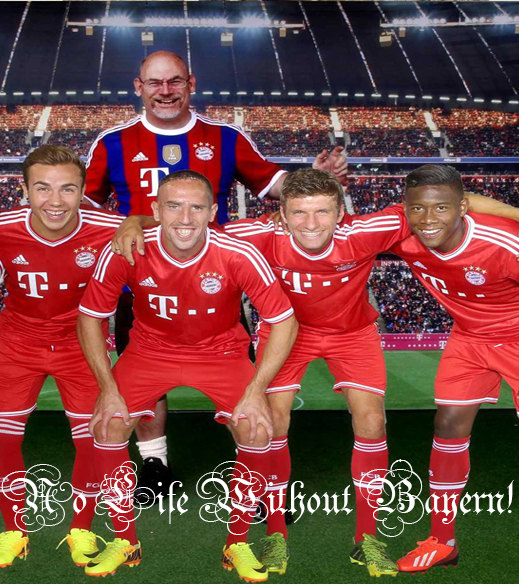 Because I love FCB and wanted to find a group of people that thought the same way. 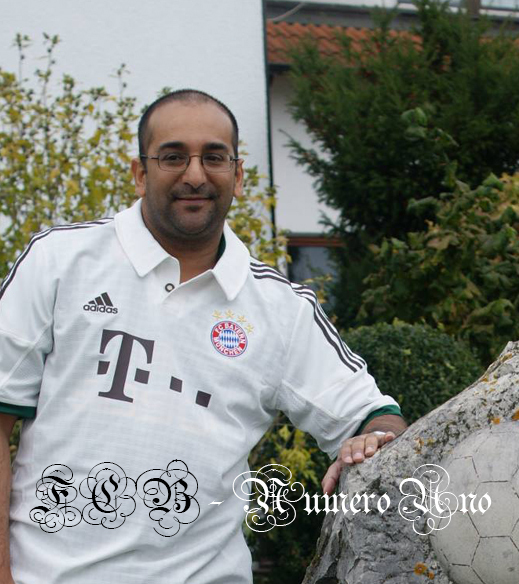 I was born and bred in Munich, growing up there in the 80s when there were still two football clubs of significance: FC Bayern München and 1860 München. Who you chose as “your” club very much depended on which team your family and/or older friends supported. 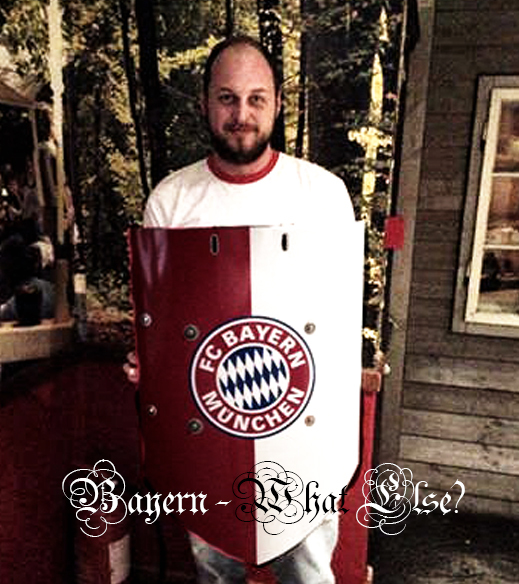 Luckily that was Bayern in my case or else I would now suffer a severe case of depression! I’m not sure when I started to actively support them, but I’m pretty sure it started in second or third grade… which I attended in 1981! 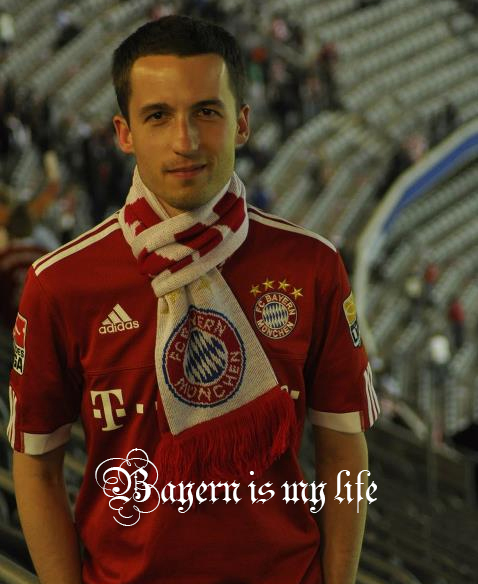 Having lived abroad for more than eight years now I was constantly jealous to hear about my friends back in Munich watching games together and going to Allianz Arena. While I’m blessed with a wife who is also a Bayern supporter (and kids who are rapidly turning into superfans themselves), there’s nothing like watching matches with a group of fans who are just as crazy about the club I love as I am. 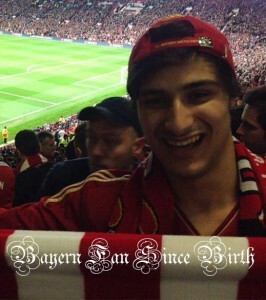 I had the good fortune to get a ticket to Wembley stadium to see Bayern beat Dortmund to win the Champions League in 2013, but I was sitting in the neutral zone all by myself, jealously watching the fan crowds in the Bayern corner. Shortly thereafter I began searching online to see if there wasn’t a fan club in London I could join… And lo and behold, I found the then fledgling Red Dragons, joining them later that year. Even though it takes me more than hour to get to the Stammtisch (this city is just too darn big! ), I try to make it as often as possible. This is a very welcoming club, I felt right at home from the first time I showed up – but what I like most is probably the diversity of its members. There’s the German expats that you’d expect, but there’s also people from the UK as well as from all over Europe (resulting in friendships with other fan clubs in many different countries). It’s always fascinating to talk to new members and find out where they’re from and what made them Bayern München fans. I also love the general sense of camaraderie and friendship – it doesn’t matter whether you show up occasionally or if you are one of the regulars, the Dragons are always making sure that everybody feels like they’re part of a big family.